An ex-political candidate was shot dead by her lover's wife in a suburban Philadelphia home before the attacker turned the gun on herself, police say. 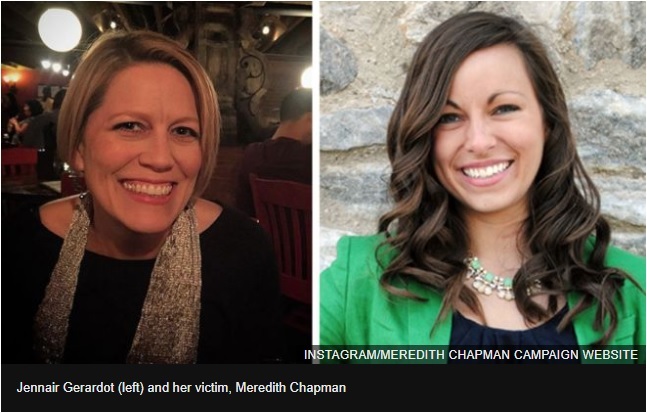 Jennair Gerardot, 48, broke into the house of Meredith Chapman, 33, and ambushed her as she returned home on Monday evening. Investigators say Mrs Gerardot may have worn a disguise. She sent her husband texts revealing her revenge plan. Both women were dead when police arrived in response to 911 calls. Detectives said the gunwoman's body was found by the kitchen, not far from Mrs Chapman's. Two bullets had been fired. "There's blood everywhere," said a 911 dispatcher in a police scanner communication, according to the Delaware News Journal. 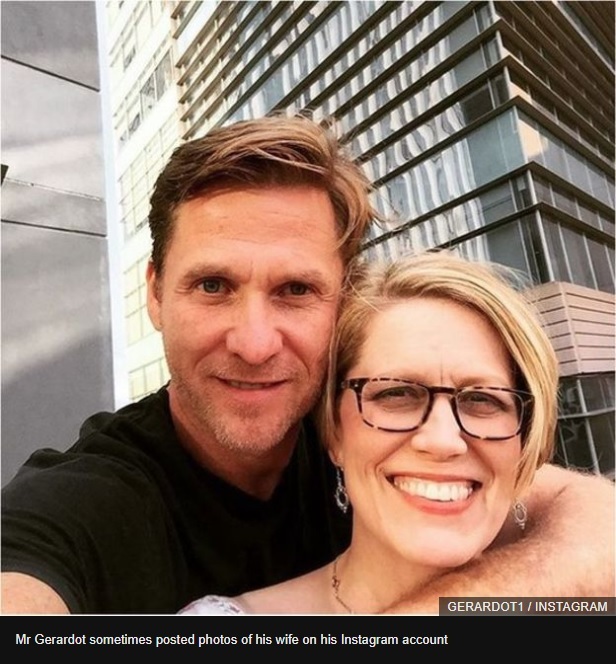 Officers encountered Mark Gerardot, the husband, outside the property. 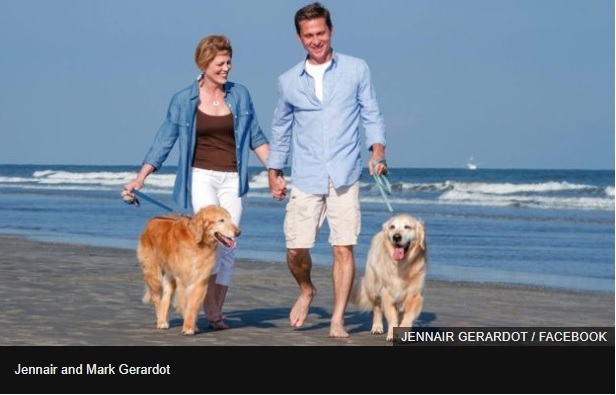 Having read the disturbing texts from Mrs Gerardot, he told police: "My wife might be inside." He had planned to meet his lover for dinner that evening, but became concerned when she did not arrive, say investigators. Radnor Township Police Supt William Colarulo said Mrs Gerardot was "lying in wait" for her victim. "You had a man who was married who was having an affair with this other woman," Supt Colarulo said. "The wife knew about it, and this was a calculated, planned attack." Mrs Chapman, who was also married, ran unsuccessfully as a Republican for the state Senate in Delaware in 2016. Police Lt Christopher Flanagan told a news conference that detectives suspect Mrs Gerardot broke through Mrs Chapman's front door and cleaned up the glass shards so her victim would not suspect an intruder. Mrs Gerardot, who was armed with a Taurus Tracker .357 revolver, was possibly wearing a wig as a disguise, said investigators. Police responded to the property in Radnor Township at around 19:00 local time on Monday. Mrs Chapman was previously a senior marketing director at the University of Delaware, where she had been Mr Gerardot's supervisor. She had recently been hired as assistant vice-president of Villanova University in Pennsylvania. Two hours before her death, she posted on Instagram that she "couldn't be more excited" to start her new job. 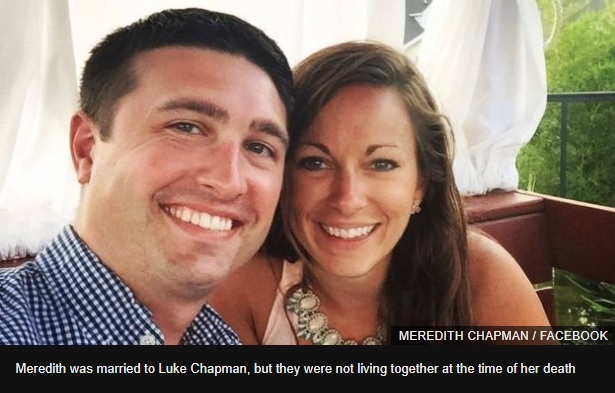 According to police, she was married to Luke Chapman, a former city council member in Newark, Delaware, but was not living with her husband at the time of her death. 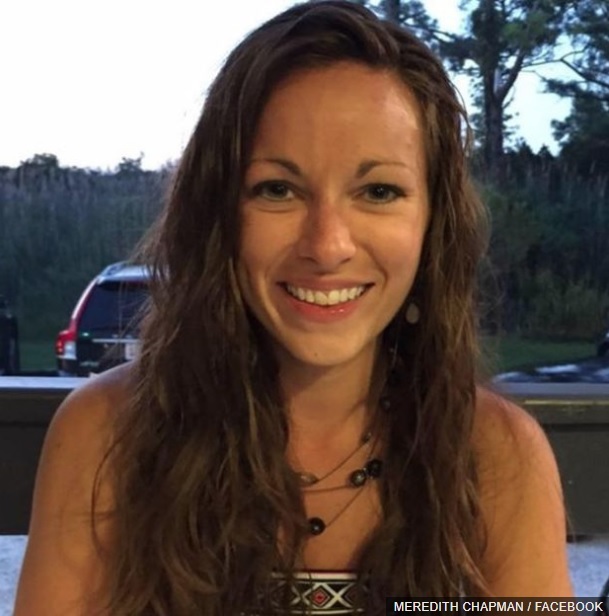 "Meredith was a beacon of light to anyone who was fortunate enough to meet her," the Chapman family said in a statement to local media. "She loved her family fiercely, was a compassionate friend and among the most talented and innovative professionals in her field. "Her death was sudden and tragic, but will not define who she was to the thousands of people who loved her." Mr Gerardot sometimes posted pictures of his wife on his Instagram account. One photo was captioned: "My birthday present 24/7. I'm a lucky guy." Work is a rubber ball.